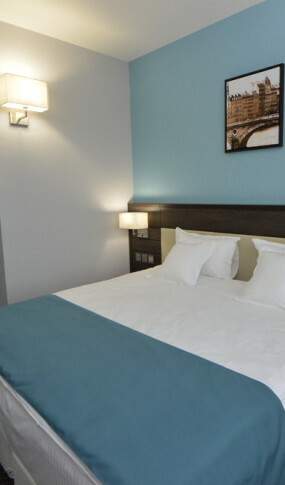 You will be pleasantly surprised with original modern design in the rooms and panoramic windows with nice park view. 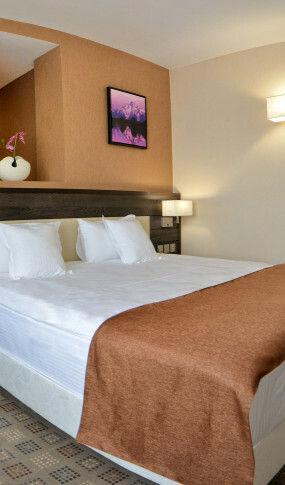 We offer single and double rooms with different categories: Standard Room, Suite with Panoramic View, Family Suite, Deluxe King Studio. 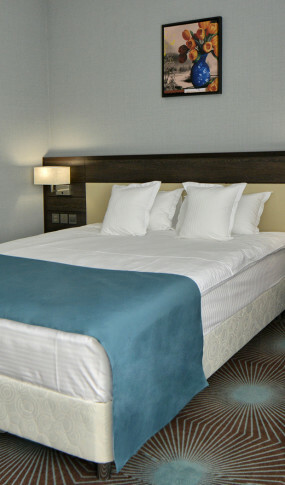 Rooms feature all modern materials and new technology. Everything is just for your comfort.